It’s not surprising that Palawan has made it to the top of the T+L list of the world’s best islands. The island’s stunning beaches and clear waters have gained quite a reputation with global travelers. The best way to see Palawan is to go on several tours. Palawan tours offer various activities for vacationers in 3 major destinations — Puerto Princesa, El Nido, and Coron . In recent years, 2 more towns, namely TayTay and Sabang have also gained significant recognition as major tourist destinations. One of the most popular activities includes the Honda Bay tour in Puerto Princesa which includes visiting Starfish, Luli, and Cowrie islands. With the Honda Bay tour, you will get to visit 3 stunning islands. You can go island hopping, snorkeling, scuba diving and swimming. Those who do not wish to scuba dive can experience the same thrill by snorkeling. 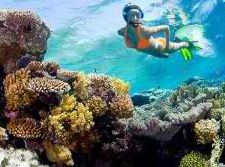 Many coral reefs in Palawan are visible from the surface. Aside from seeing coral reefs, you will often find colorful tropical fish in the area. Starfish Island has large numbers of Star Fish; the orange 5-armed type is quite common in the area. Luli Island is short for Lulubog-Lilitaw (Sink-Rise) because the island disappears during high tide and reappears at low tide. Cowrie Island is picturesque and was recently opened to Palawan tour operators to supplement the crowded beaches of nearby Panden Island. If you plan to visit this Philippine province, you should consider looking for Palawan hotels near the area of your preferred tour. You have 5 major destinations to consider – El Nido, Puerta Princesa, Coron, Taytay and Sabang. 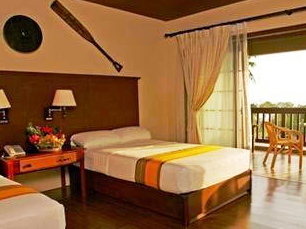 Honda Bay is located in Puerto Princesa which is also the province’s gate to the outside world. From Puerto Princesa, you can hop to other tourist destinations within Palawan. * The islands included in the tour may change regularly to reduce the impact of visitors on surrounding corals and marine life. It is not always possible to visit specific islands.